Dr. Bublik specializes in Botox®, and Dysport® and has extensive experience with sculpting the face using Botox® or Dysport®. Whether you are looking for a rejuvenating alternative to a facelift, enhancement of the lips or cheeks, you will soon understand why many have chosen Dr. Bublik for this type of treatment. His artistic sense, vast knowledge of facial anatomy, and experience combine to produce exceptional results. His customized treatments often involving a combination of these injectable treatments are the key to obtaining extremely rejuvenating results. Botox® Cosmetic is a purified protein that is used to eliminate the frown lines between the brows, flatten deep forehead wrinkles, and soften the ‘crow’s feet’ wrinkles next to the eyes. It blocks nerve transmission to the muscles that cause wrinkles of the face. After treatment, the muscles relax, and the overlying skin becomes smooth and unwrinkled. BOTOX® Cosmetic is a safe treatment which has been used to treat a variety of conditions worldwide for more than 15 years, and it is FDA-approved to treat the wrinkles between the eyebrows. 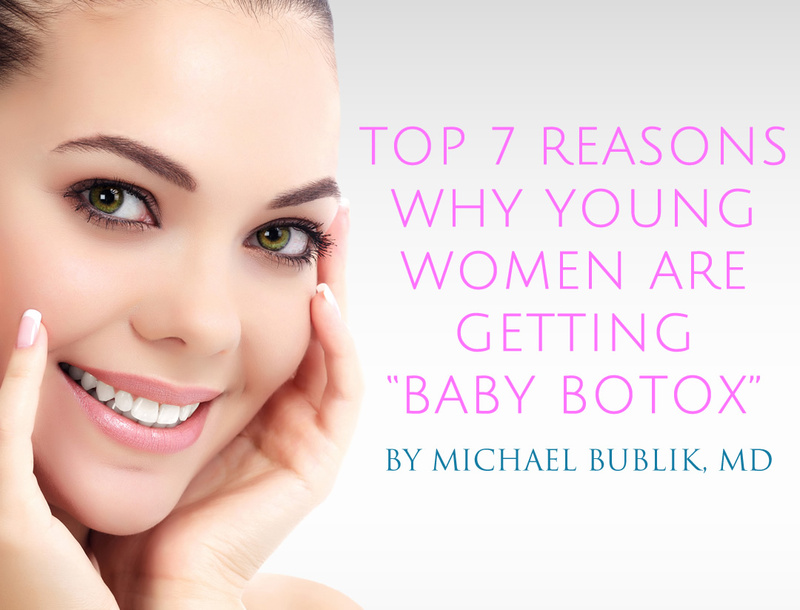 Dr. Bublik uses a few tiny microinjections to deliver the Botox® treatments, so discomfort is minimal. The treatment is usually done in about 10 minutes, and there is no downtime. Within a few days, patients see a marked improvement that can last up to 6 months. With so many advantages, it is easy to see why patient satisfaction is so high with these treatments in our office.